Before you is the much anticipated review of the D40 kit lens. It's a slightly revised addition to the regular kit lens from the D50 to the D80. It sports a "II" designation, which includes a new body, and a few specification changes, which are very minor. There'll be a few surprises on this one, so Check out my full review of the Nikon Nikkor AF-S DX 18-55mm F/3.5-5.6G ED II lens here! 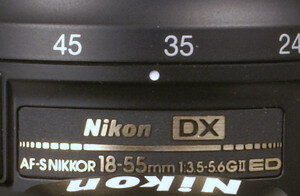 Have a look at the Nikon D40 pictures I took over the last couple of weeks. I posted 15 small file shots and 15 full resolution shots (same) at the bottom of the page. The full review will be in a couple of weeks. Have a nice, and safe New year! Here's the link to the sample shot page. Anybody out there interested in the International space station (ISS) and photography should take note of the cameras floating about in pictures courtesy of NASA. 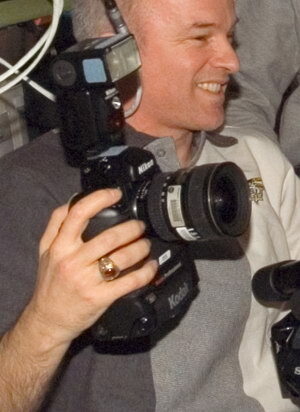 This picture (cropped from hi-res photo during the STS-115 crew visit) on the left is Expedition 13 Science office Jeff Williams holding what appears to be a Nikon D1 series DSLR with 17-35mm F/2.8 Nikkor lens. Take a look at the vertical grip area and note the Kodak DCS plate. I can only imagine it's a custom made camera configuration for the unique environment of the ISS. Also, it's probably several years old but I guess it's still good enough. I've seen another Nikon floating around too, maybe a D100. The current expedition 14 crew are still using both, as I've seen them in the STS-116/ISS crew video yesterday. I wonder if Nikon and NASA have some sort of relationship as far as still camera equipment goes. I've seen at least one expensive Sony video camera on the ISS too, so Nikon isn't the only game in town. Anybody with more information please pass it on! More information reveals a Kodak DCS 760 ($7995) which is based on the Nikon F5 film camera body. It has a 6mp sensor and weights a whopping 4.1lbs (1.86kg) without battery or lens, though not a problem on the ISS. The camera (now discontinued) was introduced in 2001 and is still in use today. 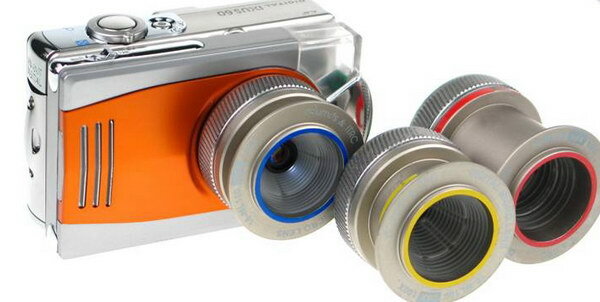 Check out this interesting little camera. It's called the Aven iloupe, and it's billed as the worlds first compact portable field microscope. The camera is a Canon SD600, which is inserted into an adapter which houses the additional lens mount. It even has 4 dimmable built in LED lights! There are two packages available, a starter pack with 60x objective lens, and a pro pack with three lenses; 60x, 100x, 150x. Prices are $1255 for the Starter pack and $1755 for the pro pack, but wait, there's more! Rebates of $300 and more 'till the end of December! So for less than $1000, you can capture objects from 6 to 10 microns! Talk about fun!